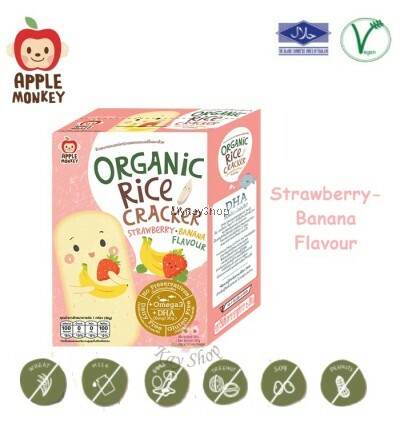 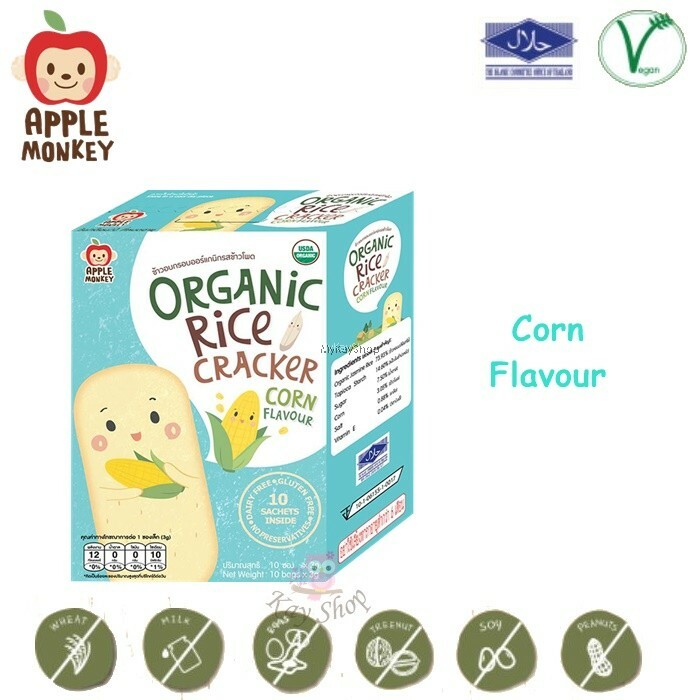 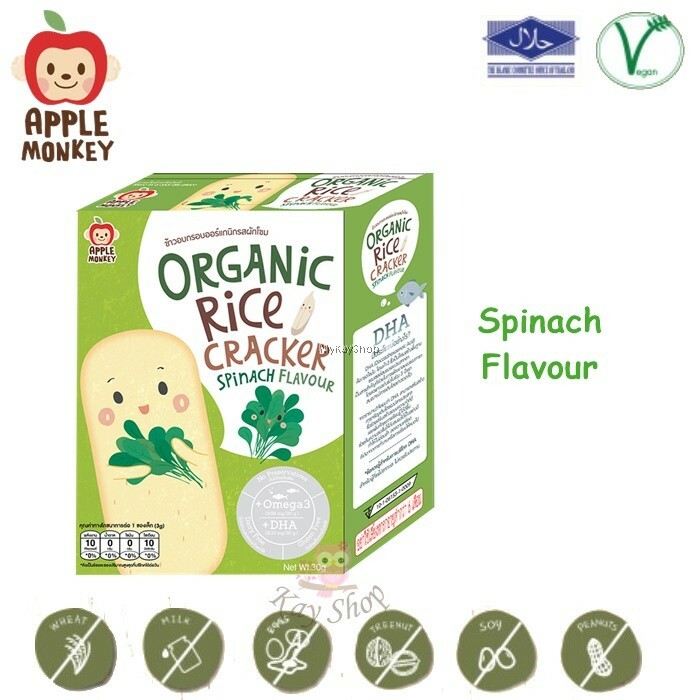 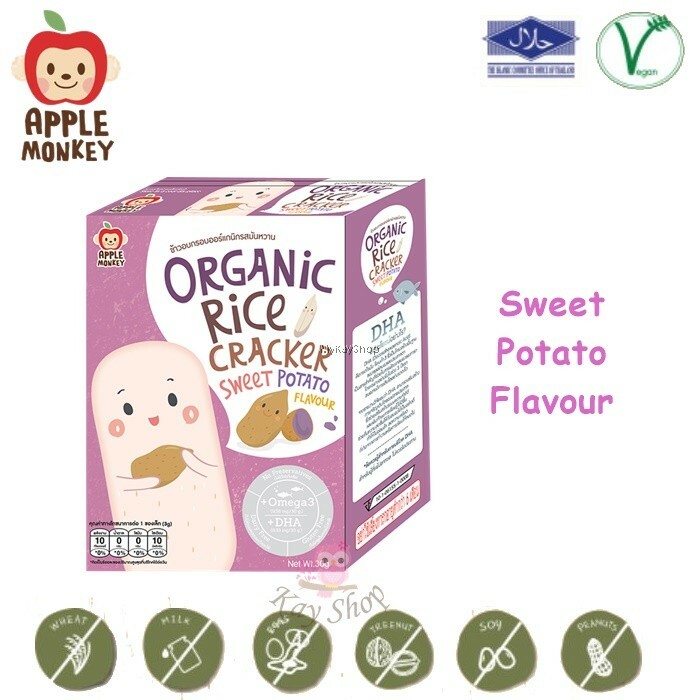 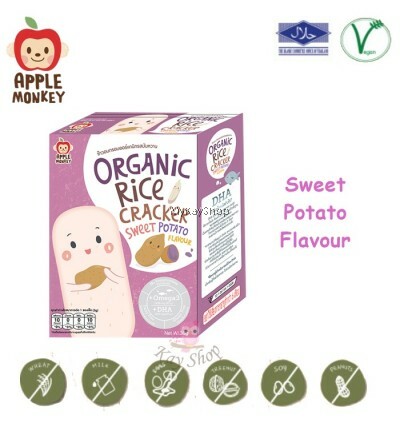 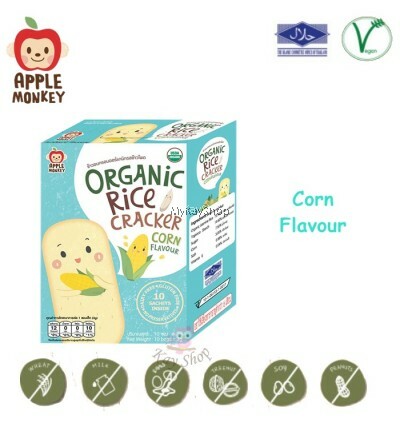 Apple Monkey Rice Cracker is an healthy snack for your kids which has vegetable as an ingredient. 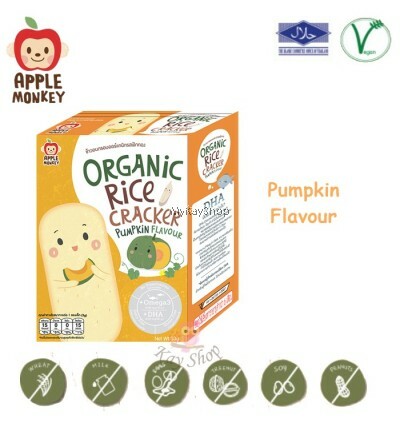 Our organic rice cracker is suitable for one-the-go snack. 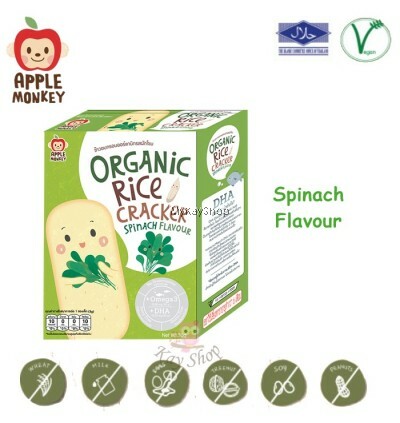 It comes in an oval shape which makes a little hand to grab. 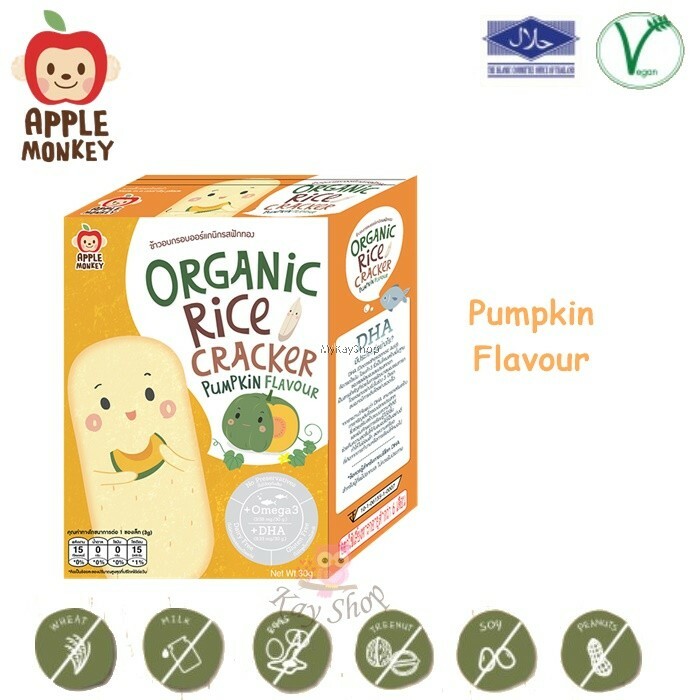 When your baby start to chew things around himself by using his gum. 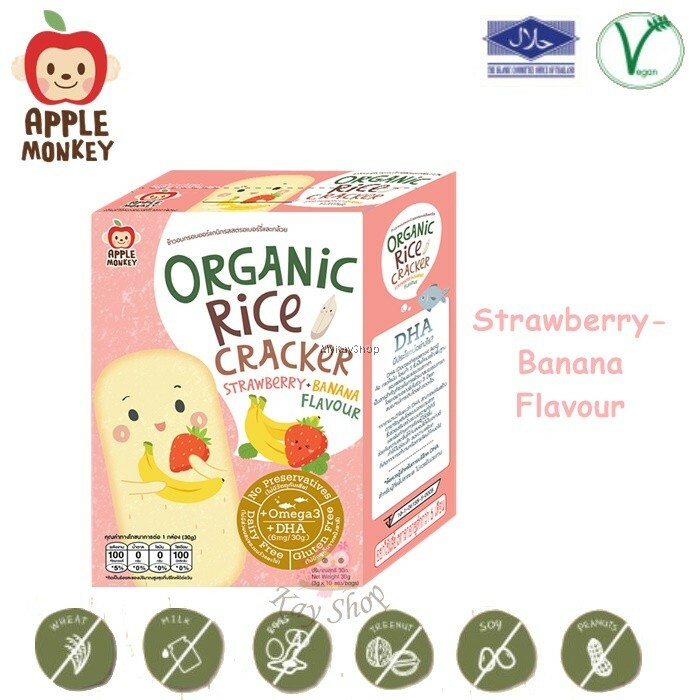 You may observe that he can grab rice cracker and use his strong gum to bite gradually.